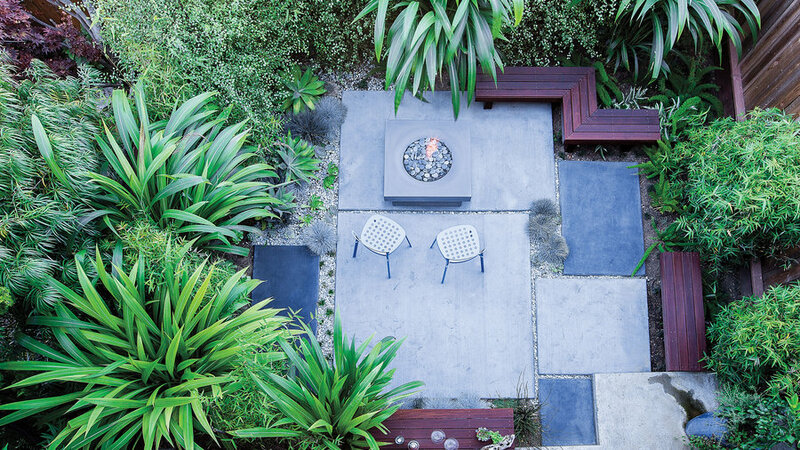 Varying slabs of concrete form a solid foundation for this outdoor seating area. 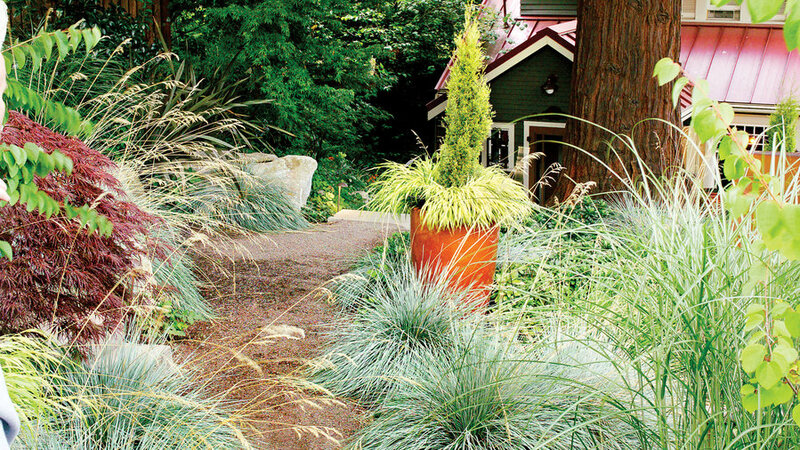 Intentional slits create a visual pattern, while guiding water into the soil. 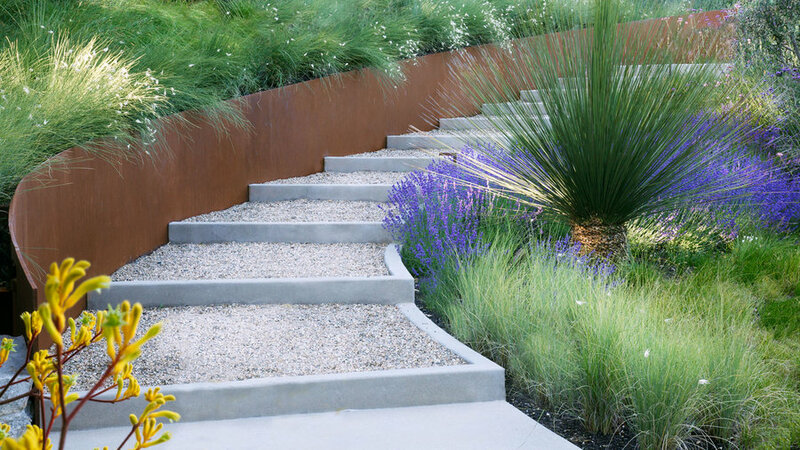 Get creative with sloping paths by filling concrete-framed steps with decomposed granite. Update grassy strips with stone bricks. This Portland property forms a curving path that double duties as an even and porous walking ground. These petite, round pebbles work well around plants and within pathways. Its small structure makes it relatively easy to maintain, and tracks less than traditional gravel. Be sure to structure the filler with a border and build it on top of a flat surface. Don’t forget to rake regularly. 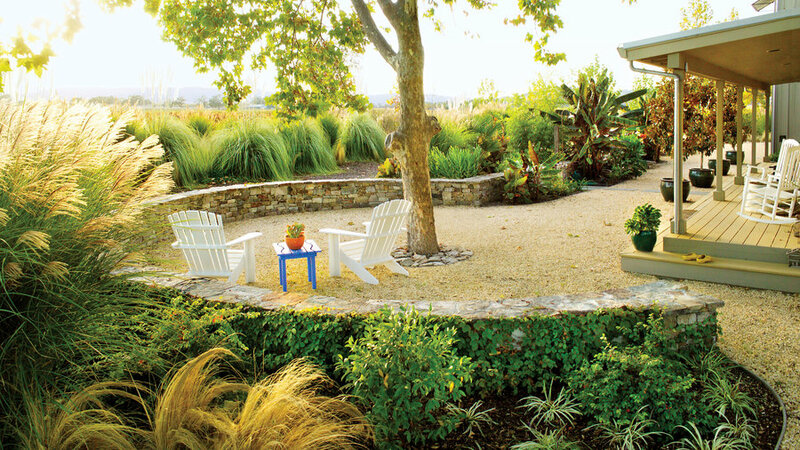 Sit cement circles on top of a mulch foundation for a low maintenance pathway. 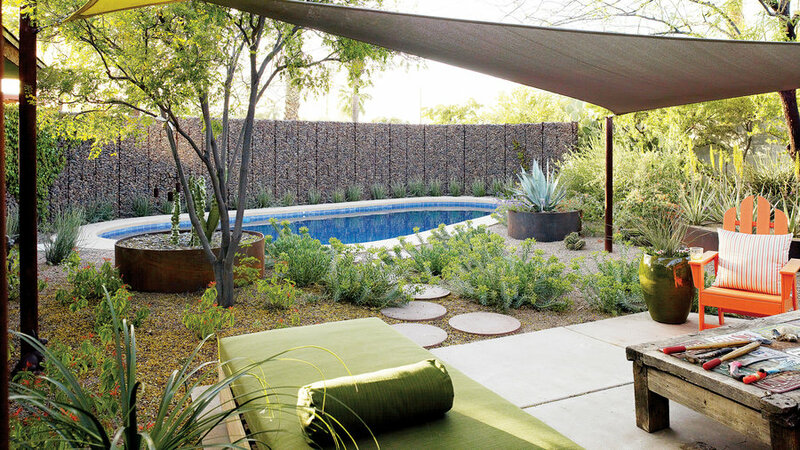 This lawn-free backyard maximizes water use by filtering irrigiation throughout the tree and shrub-laden area. Loved for its flat surface, warm tone, and permeability, this low maintenance stone is not only attractive, but also barefoot friendly. 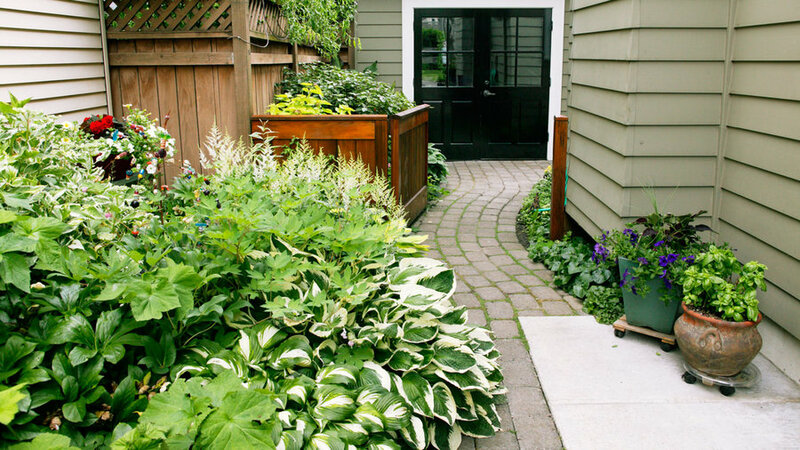 Use flagstones when forming paths, steps, or paving patios. 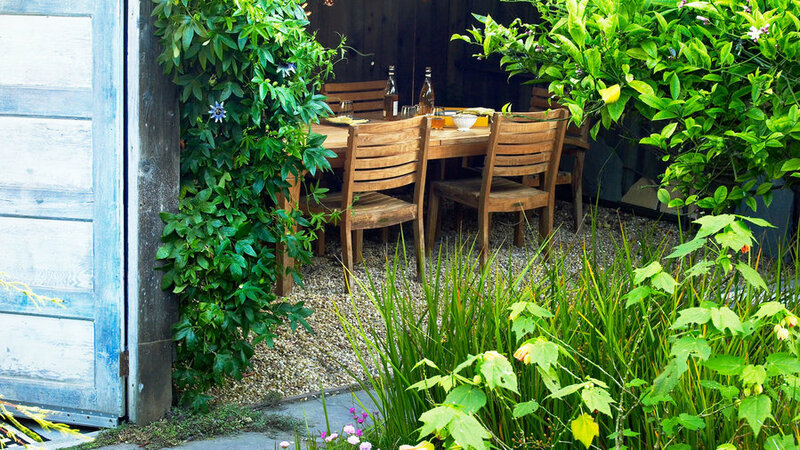 Fill a backyard dining area with Salmon Bay pebbles. 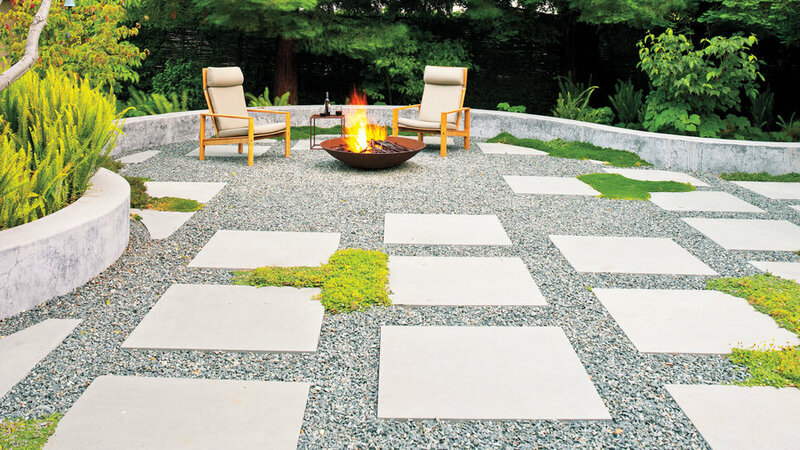 The rounded rocks offer a hint of color to this shaded space, while letting water seep into the earth instead of the surrounding grounds. 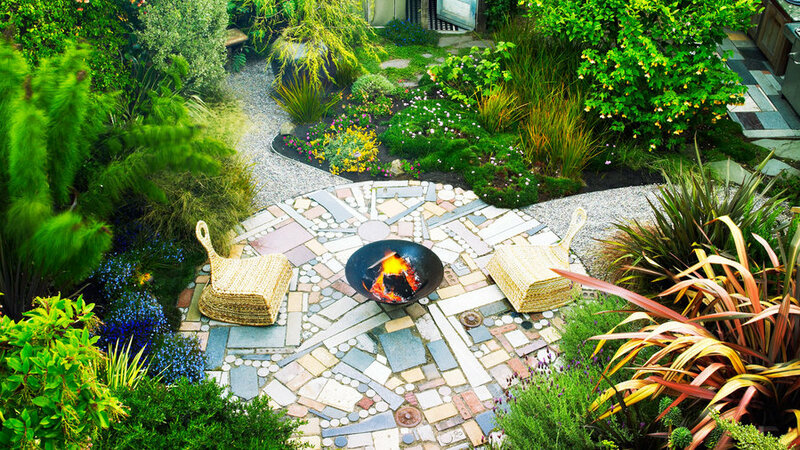 Turn the backyard into art with a mix and match mosaic. This stylish design uses multi-colored brick and stone. The gaps between each cut out allow water to flow beneath the surface. Bring in a touch of the coast with these large beach pebbles. 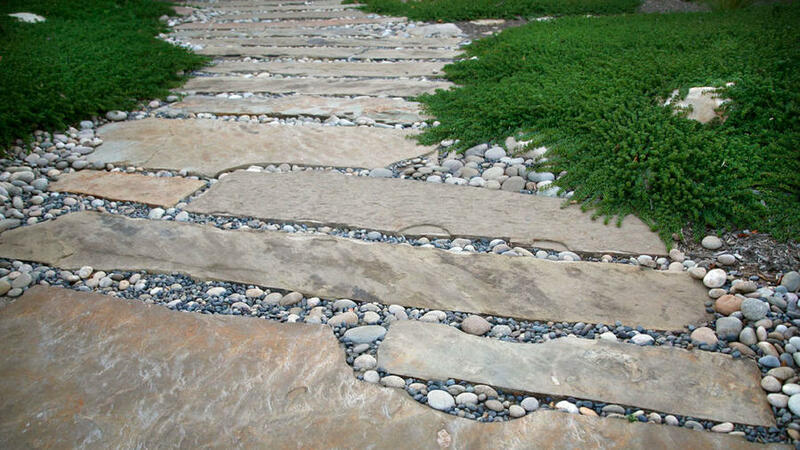 Slabs of stone form the bulk of this path, resulting in an earthy, water wise combo. 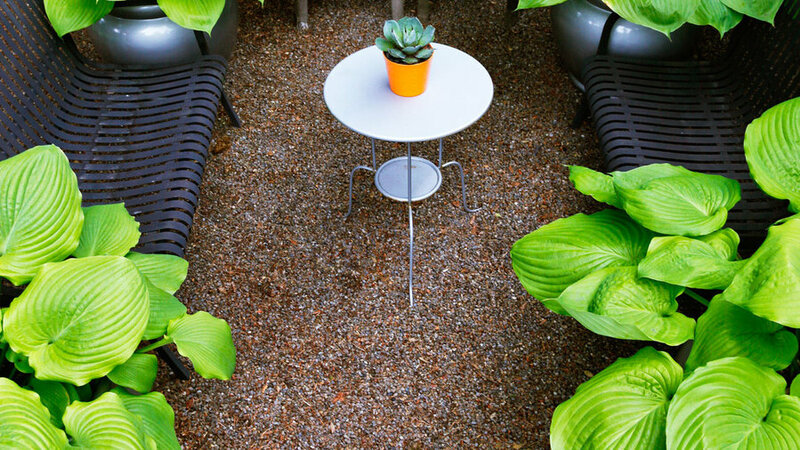 This permeable gravel gives gardens an approachable, earthy vibe. When the rain hits, crushed basalt absorbs water, trickling into adjacent planting areas. This decorative rock dribbles water into the earth, fueling nearby roots. 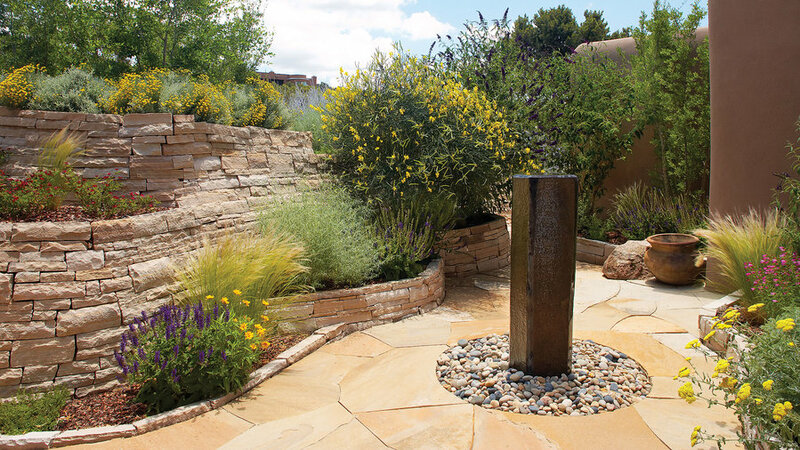 Its gold tone also evokes a sense of tranquility alongside this garden’s foliage.